Harpists at the Conservatory are encouraged to develop their skills as solo, chamber, and orchestral musicians in a wide variety of performance situations. These include large ensembles, small chamber groups, and solo recitals on and off campus. Peabody harpists often choose to prepare for national or international workshops and competitions, and individuals interested in teaching receive extensive hands-on training in the department’s innovative pedagogy program. Ruth Inglefield made her debut at the age of 15, performing with the New York Philharmonic. 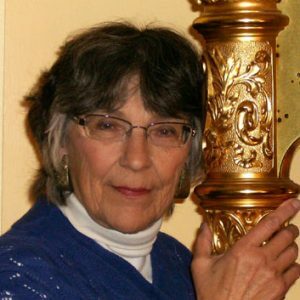 She spent ten years as a concert harpist in Europe, then principal harpist with the Toledo Symphony and Toledo Opera Orchestra. 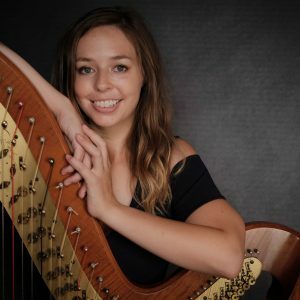 Jasmine Hogan is an international prize-winning harpist who has performed worldwide both as a soloist and collaboratively with internationally renowned orchestras, opera companies, and chamber musicians.